Sunny, this fun stuffed Golden Lion Tamarin (a small orange-yellow monkey) from the YooHoo and Friends collection, is not only cute and cuddly, but is also super silly with a "boing" sound when you squeeze the tummy! 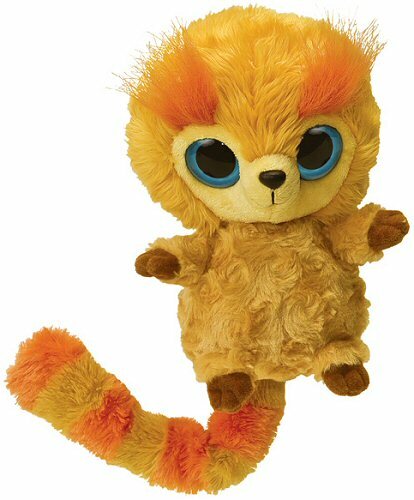 With soft orange-yellow swirly fur, brown and orange accents, big blue eyes, and a long ringed tail, this YooHoo Friends plush Golden Lion Tamarin will put a smile on the faces of young and old alike. Note: YooHoo friend and stuffed Golden Lion Tamarin Sunny makes "boing" sound when tummy is squeezed.